Tours and activities are based on availability. Therefore we highly recommend their booked in advance. All tours and transports must be paid in full in order be confirmed. Transport, tours & activity bookings – Individuals: Ion Adventures highly recommends that all tours and activities are booked in advance due to the high demand. All transports and tours are charged at the time of booking. Any cancellation, must be sent to us via email within 48 hours prior to tour´s actual date. For all booking cancelled with more than 48 hours notice a 90% will be refunded. 10% of the price of your trip is non-refundable, this percentage reflects our cost of booking and preparing your trip. Any cancellation sent within 48 hours will be submitted to pay full price of the reservation. 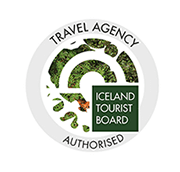 Transport, tours & activity bookings – Groups: For any group cancellation, we require it to be written and sent via email to ionadventures@ioniceland.is within 3 weeks prior to tour´s actual date. Please note that, any cancellation sent within one week will be submitted to pay full price of the reservation. Tour and/or transport reservations can be cancelled up to 2 weeks prior to departure. In that case 40% of the total amount will be refunded. Any cancellations made less than 2 weeks prior to guest’s arrival date will oblige the group to pay 50% of the cancelled tours and/or transport. Any cancellations made less than one weeks prior to tours actual date will oblige group to pay 100% of the cancelled tours and/or transport. No shows forfeit entire payment for the service. In other words, if you do not show up for the tour, no refund applies, as our ability to fill the seat has been lost. Unused features are non-refundable. In case of a cancellation on our behalf happens, e.g. : due to weather or other unforeseeable reasons, we will notify the customer via email or by the contact details as provided when booking. We will firstly offer a modification of dates, otherwise, cancellation policy applies. No shows forfeit entire payment for the service. In other words, if you do not show up for the tour, no refund applies, as our ability to fill the seat has been lost. Unused features are non-refundable. In case of a cancellation on our behalf happens, e.g. : due to weather or other unforeseeable reasons, we will notify the customer via email or by the contact details as provided when booking. We will firstly offer a modification of dates, otherwise, full cancellation of the booking. All tours are undertaken on the responsibility of its participants. Ion Adventures and the tour operator are not responsible for any accidents, which are caused by its customers or can be traced to their own actions. Ion Adventures shall not be responsible for any loss or damage which guests may suffer arising out of events beyond its control or the control of its suppliers (including, without limitations, fire, failure of electrical, gas or other power supplies, strikes, industrial action, terrorist activity, technical problems with transport, or bad weather).